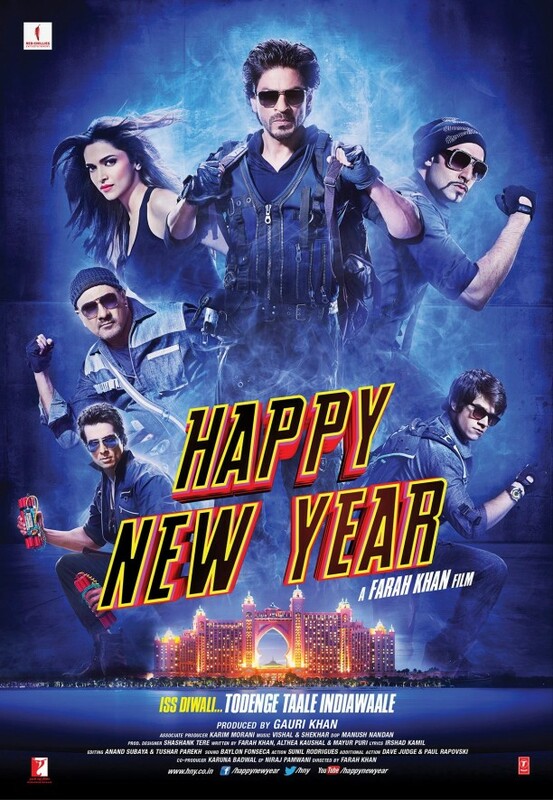 Happy New Year is the latest offering from Farah Khan after 2010’s Tees Maar Khan. Arguably in the works for years, Happy New Year stars Shahrukh Khan in the lead with supporting cast ensemble consisting of Boman Irani (3 Idiots, Housefull), Deepika Padukone (RamLeela, Chennai Express), Sonu Sood (Dabangg) , Vivaan Shah (7 Khoon Maaf), Abhishek Bachchan (Dhoom, Raavn) and Jackie Shroff (Aurangzeb). Vishal-Shekhar (Student of the Year, Hasee Toh Phasee) have been engaged to score for the film while Irshad Kamil (Rockstar, Highway) has penned the lyrics. The 10-track soundtrack features the vocal talents of Sunidhi Chauhan (‘Sheila Ki Jawaani’ – Tees Maar Khan), KK (‘Tune Maari Entriyaan’ – Gunday), Shankar Mahadevan (‘Desi Girls’ – Dostana), Arjit Singh (‘Tum Hi Ho’ – Aashiqui 2), Mika Singh (‘Subah Hone Na De’ – Desi Boyz) and Shreya Ghoshal (‘Chikni Chameli’ – Agneepath) amongst others. The album starts with Indiawaale, a spectacularly mediocre number that is very reminiscent of ‘Deewaangi’ from Om Shanti Om. However, the upbeat composition, enthusiastic renditions from Vishal, Shankar and KK make the track marginally worthwhile, if one overlooks the utter lack of innovation. The electronic version of the track does little to improve its odds. Manwa Laage, already a worldwide hit, is a melodious duet features equally beautiful lyrics with a folksy overture. Arjit and Shreya render it brilliantly, fresh off their success of ‘Samjhawan’ (Humpty Sharma Ki Dulhania). Musically, the dhols are king in this track. It has a real 80s/90s feel to it and is immediately likeable. Satakli by Sukwinder Singh is nothing to write home about. The reiteration of ‘satakli’ becomes increasingly annoying almost immediately into the track. Interestingly, the track is well composed with its vibrant desi celebratory arrangements and would have been easily impressive if the lyrics, especially the chorus, had been better. Lovely (and its variation Kamli) is a Punjabi hip-hop number with Arabic influences with sufficient rap and techno in the mix to complete the track. Kunika Kapoor of ‘Baby Doll’ (Ragini MMS) fame croons the track. Again, the signature hook is repeated enough times to make it a catchy number. It is a well arranged dance number by Dr Zeus but ultimately, so soon after ‘Baby Doll’, it fails to be anything more than a derivative of ‘Baby Doll’. 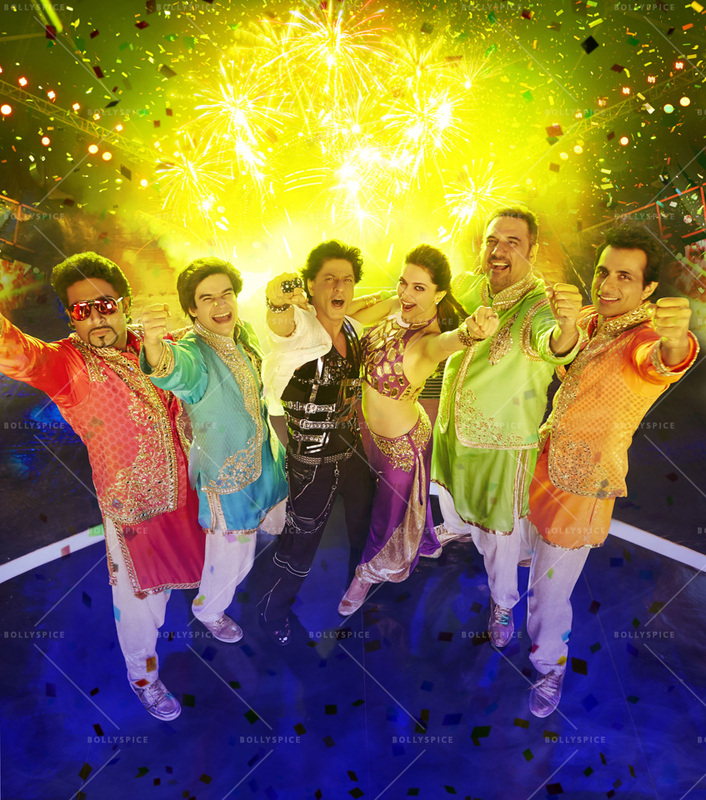 World Dance Medley is a mash up of ‘Manwa Laage’, ‘Sataki’ and ‘Indiawaale’. It gets off to a promising start with Neeti Mohan crooning ‘Manwa Laage’ but ‘Satakli’ and ‘Indiawaale’ dampen the histrionics and dramatics to an extent. Even Khan’s patriotic interlude is a little anti-climatic. Nonsense Ki Night is for the lack of a better term nonsense. Save an intricately timed comic picturisation, the track has little to be impressed with. Dance Like A Chammiya gets off to an electrifying start with Sundhi Chauhan at the helm of this dance number. But the energy dips slightly as the track proper commences. Kamil’s tongue in cheek lyrics is commendable, but hard to appreciate over the overpowering music, which in itself is quite impressive. Sharabi is a Punjabi techno/pop track, one of many on the market at in recent times. As such it is rather unremarkable. The Heist is nothing special. One would expect something sleek and elegant but the track comes off as rather amateurish. In summary Happy New Year, with the exception of ‘Manwa Laage’, is a dismal fare. It is directionless, repetitive and very ordinary. Any expectation from Farah Khan aside, it is particularly surprising to hear such a dull album from Vishal-Shekhar who are counted amongst the best in Indian Cinema.